Salsky, George [Юрій Сальський] – airman, active in community affairs; born on 21 April 1915 in Kyiv (Ukraine; at that time – Russian Empire); died on 8 February 1996 in Ottawa, Ontario, Canada. In November 1920 Salsky left Ukraine with his family for Poland (during the retreat of the Ukrainian People’s Republic (UNR) government in which his father, Volodymyr Salskyi, had earlier been minister for military affairs). Initially he lived in an internment camp in Kalisz before moving to Warsaw, where he attended a French lycée. From September 1936 to June 1939 he trained as a pilot at the Polish Air Force training school in Demblin (the UNR government in exile envisaged him becoming an instructor in a future Ukrainian air force). At the beginning of the Second World War he took part in the defence of Poland after the country was invaded by Germany on 1 September 1939. 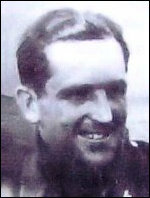 In mid-September he escaped with other Polish armed forces personnel to Romania, from where he was evacuated to France. After the German invasion of France of May-June 1940 he was evacuated to the United Kingdom where he continued to serve in the Polish Air Force under Royal Air Force command (see Ukrainians in the Polish Armed Forces under British command). From September 1943 he was a flying instructor. By the end of the Second World War he had risen to the rank of flight lieutenant. After the war he became one of the founders of the Association of Ukrainian Soldiers in the Polish Armed Forces which was formally established in 1946 as the Association of Ukrainians in Great Britain (AUGB). He was elected a member of the first AUGB executive at the inaugural meeting, and head of the Tribunal (Mediation Committee) in 1947. In 1948-49 he was the Association’s executive director. In 1947 he was involved in the establishment of the Ukrainian Autocephalous Orthodox Church in Great Britain, and was appointed to its Council (1947-1948) and General Board (1950-1951). In 1948-9 he helped to establish the Association of Ukrainian War Veterans in Great Britain. After the split which occurred at the March 1949 AUGB annual general meeting Salsky became one of the founders of the Ukrainian Bureau, on the basis of which the Federation of Ukrainians in Great Britain (FUGB) was established. Initially he was executive officer of the Bureau, from August 1949 a member of its governing council, and from March 1950 a member of the FUGB governing council. In 1951 he emigrated to Canada. In 1952 he worked in the Ukrainian Section of the Canadian Broadcasting Corporation International Service. In 1953 he began to work for the Department of National Defence in Ottawa. From 1958 to 1970 he was seconded to the North American Aerospace Defense Command in Colorado, USA. After returning to Ottawa he continued to work for the Department of National Defence until his retirement in 1980. From 1980 to 1992 he was head of the Archives Committee of the UNR government in exile. He was also active in various other Ukrainian organisations and served as head of the Ottawa branches of the Ukrainian Canadian Congress and the Ukrainian Canadian Social Services charitable body.